Get ready to tone your body from the inside out. Muscles you never knew you had will start to pop. The results are amazing. Horizontal Conditioning is a unique and challenging way of toning your body using mainly body weight with a few props for resistance. It is a fusion of pilates, yoga and muscle. It tones your body from head to toe... especially your core. 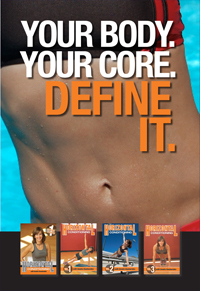 A strong core not only looks great, but it also improves performance in any sport. Horizontal Conditioning is an intense work out geared towards intermediate to advanced students. The Getting Started workout was made for the beginner who is just starting to train horizontally. Incorporating these workouts into your routine two to three times per week will get you that defined and lean body that you have always wanted. Don't waste another minute...get Horizontal.